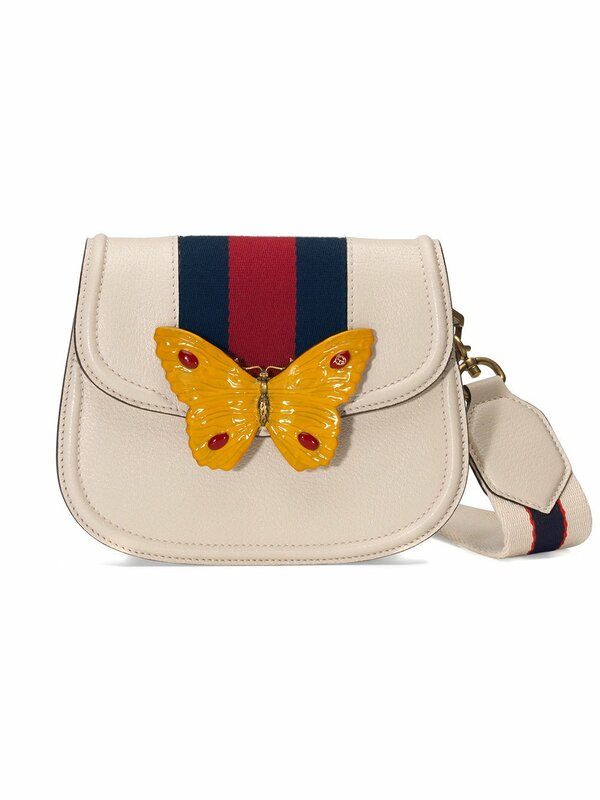 A symbolic emblem from the Gucci Garden, the butterfly has become synonymous with the House. The winged motif is interpreted for Cruise in metal with colorful enameled details. 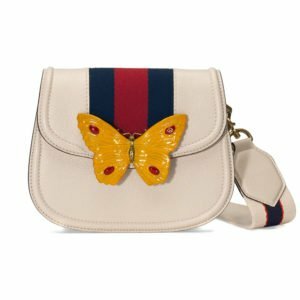 Placed on a leather shoulder bag with House Web stripe, the design is completed with a Gucci jacquard stripe shoulder strap. 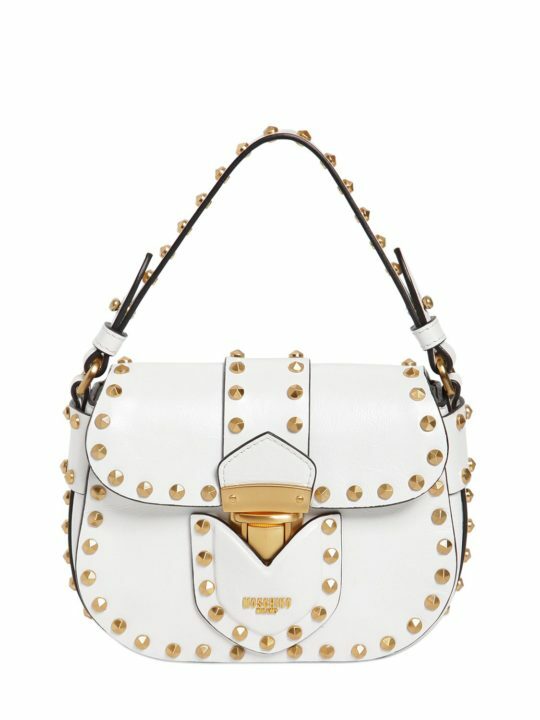 Ivory leather. Blue and red Web. Metal enameled butterfly. 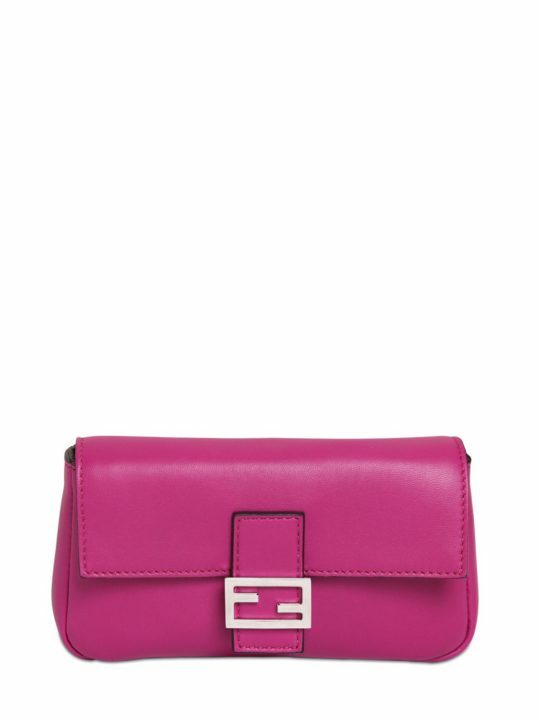 Gucci jacquard stripe nylon shoulder strap. Interior open pocket. 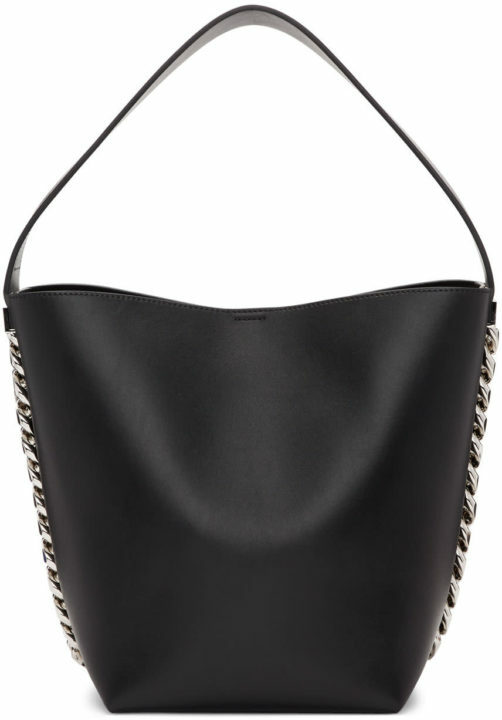 Detachable shoulder strap with 19.5″ drop. Flap closure. Small size: 8″W x 6″H x 2″D. 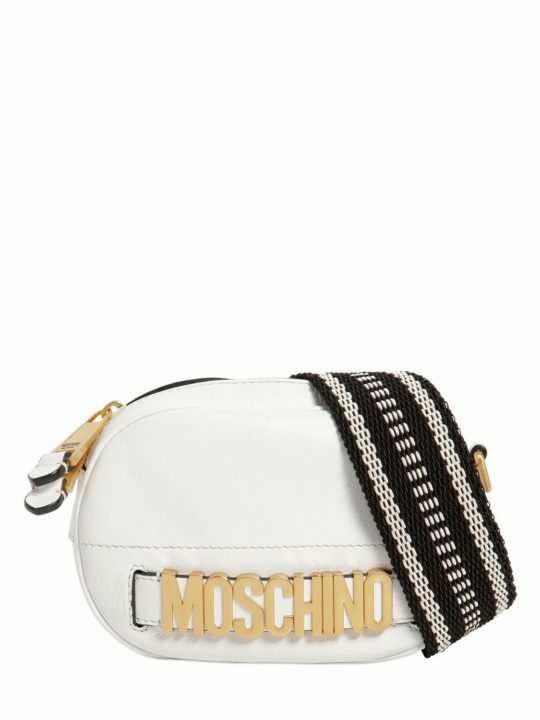 Microfiber lining with a suede-like finish. Made in Italy.